I wish I could be one of those guys who carries a small fly box with just the essentials. 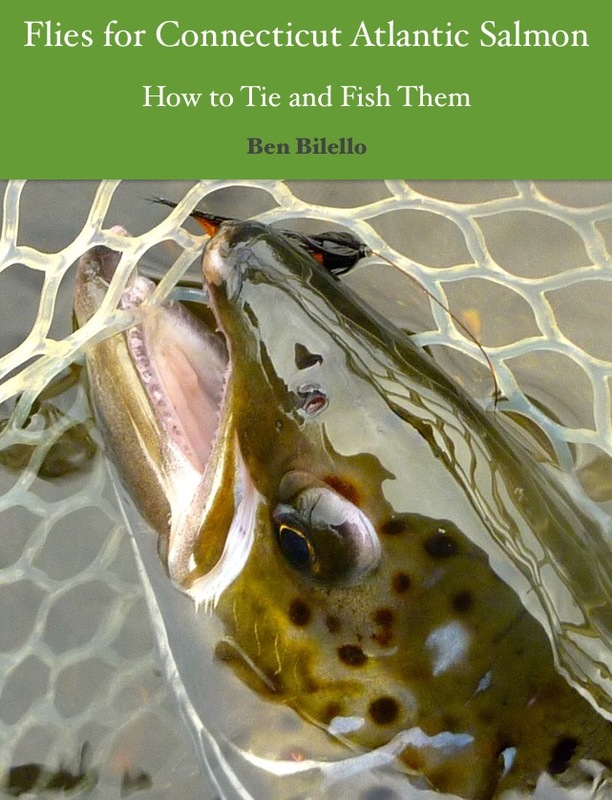 As an avid fly tyer, that's just not me. That said, I hate carrying a bunch of boxes. I want one box that does everything, even if it's big. I'm not talking Cliff Bugger Beast big. As long as it fits in the pocket of my wading jacket I'm happy. I tried a Wheatley swing leaf box. It was ok, but the clips flatten the wings on Butterflies and I find the layout somewhat limiting. I tried one of those C&F style waterproof boxes. It was OK, but the foam notches distorted when I used really heavy irons. The tiny doubles seemed to get lost in that box's streamer-sized foam. The swing leaf soon lost its adhesive properties and fell out. Overall, it was not that durable. I use a run-of-the-mill large Nubby Tack box for big doubles. So far I really like it. I decided to buy another to house the contents of the old C&F knockoff box. Fly size doesn't seem to matter. The little nubs seem to do a great job with small and large irons alike. Also, I like how I can put a fly anywhere, not just where a slot or clip exists. I want to buy sheets of Nubby Tack material and make custom boxes. I think I could make a sweet box. It might look sort of crude, but it would function well. The only hitch in this plan is that no one can buy sheets of Nubby Tack. It's a proprietary material used only in Mill Stream fly boxes. There goes idea #1, the simple solution...if someone knows of some Asian-made Nubby Tack knock-off available in bulk, please let me know! Right side: fully covered in Nubby Tack- used for large flies; streamers, Muddlers, shrimp patterns, large wets, etc...single and double. 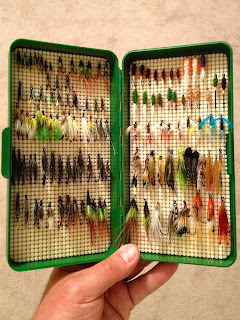 Also, where space is available, I would put some of my more commonly used tube flies (w/hooks). I'd still carry a dedicated tube fly wallet, but I wouldn't necessarily need it on me at all times. I could put just the essentials in this box (mainly Sunrays). The beauty of the Nubby Tack is that it can handle singles, doubles and trebles equally well and not suffer any damage. The box would be offered in two sizes, the current medium and large. It's a very simple design and it would hold all sizes of flies securely. I think it would be a winner. I think I could even make due with the medium sized box a lot of the time. Too bad it's even more far fetched than solution #1. I too share this goal. But like the "zero inbox" concept, it's remained more of a concept for me than a realistic goal. That said, for option #1 I'd suggest looking on Alibaba.com. I've sought out some things there. Quality can be tricky, but they have everything. Also, I agree with Mark re. #2. The post is a good start. Send 'em a link and see what happens! Good luck -- and let me know if you need a field tester! Thanks for the heads up on Alibaba. That site is pretty nuts. I poked around for a bit, but didn't find any nubby tack. Of course, I don't know if it has any other uses and, if so, what it's called. I'll keep looking. I'll let you know when there is a product to field test!